The last couple of weeks have been amazing, but very busy. I've started publicising I Love Scolawi, and have been contacting as many people in as many media as I can think of. If you have contacts that you think would be interested in I Love Scolawi then please email me their details and I'll get in touch with them. I've been interviewed by Stuart Russell from Arts in Fife for his radio arts programme (that starts soon on Kirkcaldy Radio). 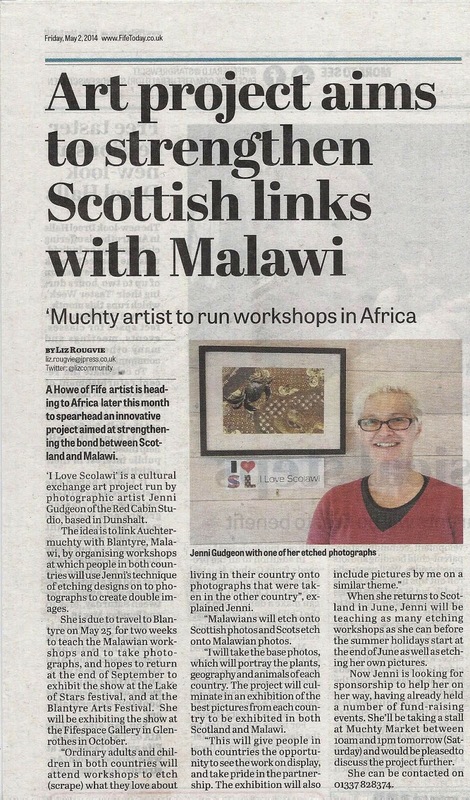 Last Saturday I ran a stall to promote I Love Scolawi at the 'Muchty Street Mercat' in Auchtermuchty. It was great that so many people are interested and excited by the project and wanted to see that it happened. I raised about £100 and added 20 names to my mailing list, which I was delighted about. 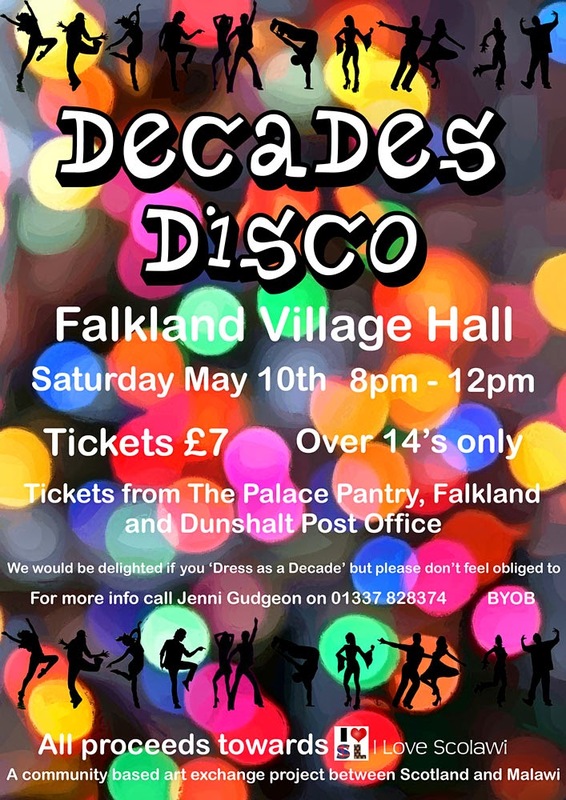 One of the things I'm doing this week is sorting out the music for the Decades Disco this Saturday at Falkland Village Hall. There will be music from the 50's onwards, and if you're local it would be great if you could come down and join me in a boogie. I'm constantly touched by how much the local community is behind this project and wants to help me make it happen. When I originally heard that I hadn't got the funding I'd applied for I thought that I would be having to find this huge amount of money by myself, and felt quite alone. But as soon as I mentioned my funding issue on Facebook I have been given support and help. Every offer of help has made the mountain of money I have to find seem less, and every pound donated made me feel less alone and scared. I now feel like I'm part of a team of fundraisers which is quite unexpected and very wonderful, and I'd like to thank you all. Special thanks go to: Violet, for organising a belly dancing hafla in July; Betty, for organising a bingo tea in September; Sandra, for selling so many tickets to the disco; Laura, for your help and support; and last but not least to all my family - I have (very) gratefully received large cheques from parents; and Bill, Alison, and Alasdair have been brilliant and supportive as ever.